Bed bugs are parasitic nocturnal insects that prey on sleeping humans. Notorious for their hitchhiker tendencies, they latch onto people’s clothing and luggage, getting a free ride…right into your home or business. 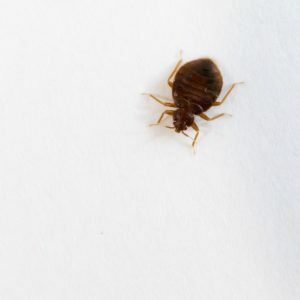 If you’ve been waking up with unexpected bites, you could be the victim of a bed bug infestation. If you suspect that your home is a host for bed bugs, it’s best to check as soon as possible before the invasion gets even more out of control. 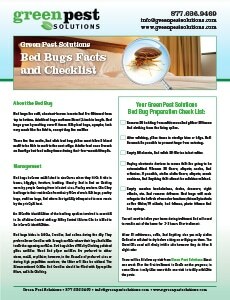 Read on to learn how to check for bed bugs. 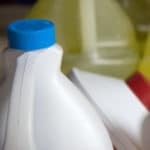 Examine your bed and bedding to determine whether bed bugs are present in your home. Strip your bedding from the mattress and box spring. Then use a flashlight to check both sides of the mattress and box spring. 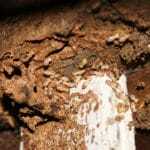 Look for bed bug feces, shed skins (clusters of dark dots), eggs, and blood stains. It’s helpful to run a credit card in these crevices too, to oust bug from their hiding spots. Before you move on from the bedroom, use your flashlight to check the floor behind and under the bed, as well. Then go on to inspect furniture like nightstands, chairs, and upholstered furniture throughout the house. Thoroughly scan moldings, baseboards, furniture legs, upholstery crevices, cracks in the wall and other nooks and crannies that are harboring bed bugs. Swipe these areas with a credit card to uncover hiding bugs. The expert exterminators at Green Pest Solutions are skilled at successfully fighting bed bug infestations. 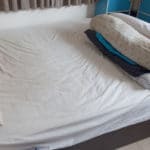 Our three-pronged approach involves locating the source of the problem, resolving the issue, and applying a preventative treatment to keep bed bugs away. 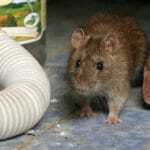 Give us a call at 877-636-9469 today and schedule a free quote for bed bug and pest control.